Will Google “Allo” kill Whatsapp? 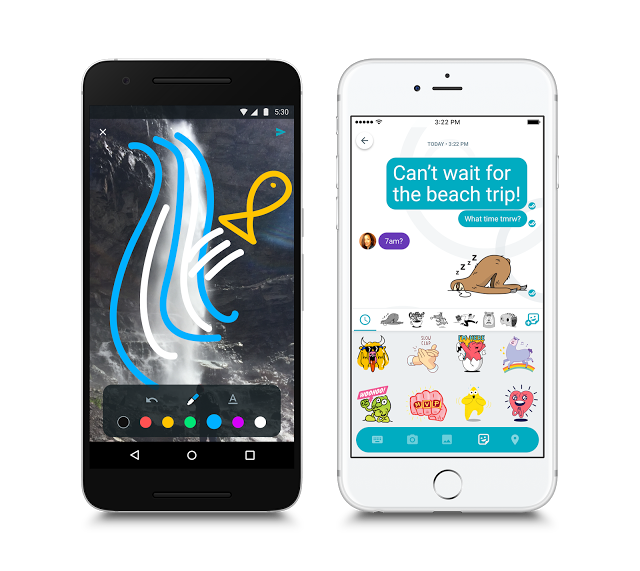 Google Allo, the next big sensation in the social media world, is here! Google was silent all this while but the product that they have brought in is one of their smartest moves. They have done their research well, I must say. Google Allo was launched on September 20th 2016 and they already have close to about 100 thousand downloads with some great reviews around the web. Whatsapp which is world’s most used instant messenger has more than 1 billion active users. This platform was slowly and steadily taken its journey to inspire Facebook to acquire. Whatsapp is an inspiration for many messenger app’s today and we all know the fact that Google Allo is here to compete with Whatsapp. In a nutshell, Google doesn’t want to kill their Social Networking war despite losing the battle by sending Google Wave, Google Plus in the battleground to fight and die. We live in an age where we all rely on messaging right from wishing someone good morning to making plans for the day. This space is ruled by Whatsapp, Facebook messenger and iMessage but Allo might just be on its way to steal the spotlight. While the rulers offer a plethora of highly advanced features that is definitely making life easier for the smartphone user community, Allo does one better and introduces a bunch of ‘smart abilities’. In this article I would like to share some of the coolest features that will provoke you to download Google Allo for sure. This app gives you your very own personal virtual assistant with whom you can have a one-on-one chat off course. It does some really impressive things. You can easily move from discussing dinner with friends to making plans for the night, right in your chat. Just type @google to add the Assistant to your group chat and ask for movie times, local restaurants and more. Next thing you know, it will be providing you with all the details, accompanied by a series of pictures wherever available. You can get the latest info about anything right from news, weather, and traffic to your upcoming flight status. Assistant also lets you have some fun. You can ask it to share that funny YouTube video or play games with friends’ right in your group chat — for instance you can compete to guess a movie title based on a series of emojis. The Assistant will initially be available in English to assist people in their everyday lives. The privacy and security of chats has been taken to another level by Allo. Their chats are encrypted using industry standard technologies like Transport Layer Security (TLS). But like the web browser Google Chrome has an incognito mode, you can go incognito on Allo as well. When you chat in this mode, messages have end-to-end encryption and additional privacy features like the chat history will disappear after you have finished the talk, depending on the expiration period you have set. In case, you have switched off your expiration period, the chats won’t disappear. You can also message friends who aren’t yet using Google Allo through SMS. Even though Whatsapp recently started to offer end-to-end encryption for chats, Allo has taken a step further with this selective end-to-end encryption feature. Though Allo is like any other messaging app, its smart feature is its smart reply. As you go about your interactions, Allo will analyse the context of what you’re saying and offer a set of one-tap responses you can use to save time. For instance, you can send a quick “yes” in response to a friend asking “Are you at work?”. Also, it will suggest responses for photos. If your friend sends you a photo of a sunset, you might see suggestions like “beautiful” or “wow”. And if you’re a “haha” or “lol” kind of person, smart reply will improve over time and adjust to your style. Chatting with your friends and loved ones will just get more fun. Allo lets you make emojis and text larger or smaller in size by simply dragging the send button up or down. This is a feature which is clearly not available on Whatsapp although you can make the text bold or italics. Allo also has a wider array of about 25 custom sticker packs and even allows the user to scribble on pictures before sending it across. At present, Whatsapp is undoubtedly the leader of the instant messaging world but with these unique elements to offer, Allo is capable of taking the lead soon. Let’s wait and watch to see if Allo can take over the throne!